If you are like the majority of people you take at least 3 photographs every single day. But did you know that Photography can be a powerful tool for self development? Globally, we take 1.2 trillion photos a year. Thanks to smartphones with incredible quality cameras and easy to use photo editors like Instagram, everyone is a photographer. Keeping a visual record of events is important for retaining memories and reliving life’s greatest moments. However, it’s not just the resulting photographs that matter. 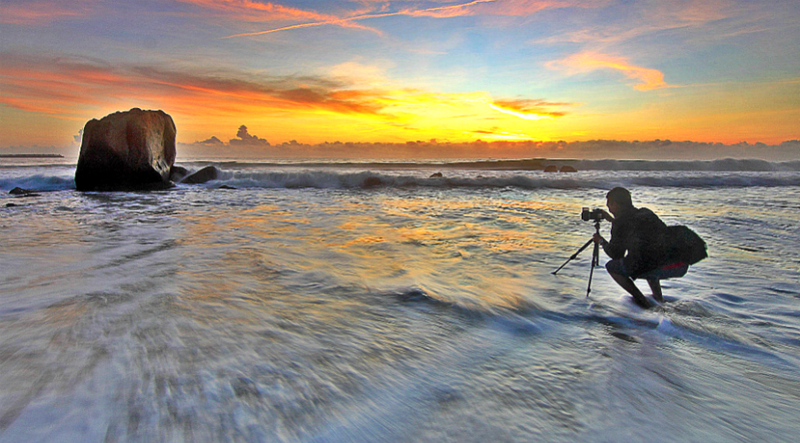 The act of photography itself can be a powerful tool for self development. It acts as a physical metaphor for perception, concentration, and meditation, helping you to master these vital mental skills. 1. Photography can help you to become mindful and perceptive. Smartphones and other cameras are generally seen as a distraction from living in the moment. However, it doesn’t have to be like this. Practicing the art of mindful photography can be a form of meditation. Pick up your camera and peer through the viewfinder. Forget all distractions, breathe deeply, and focus on the subject. Whether it is a staggering mountainscape or a delicate flower, put all your attention on the beauty before you. With time, you become more perceptive of this beauty surrounding you. Through mindful photography you are regularly practicing the calming act of mindfulness, helping you to overcome negative emotions such as anger or anxiety. 2. Photography can help you gain more confidence around strangers. Being a photographer offers unique interaction with others, which is hard to achieve elsewhere. If you photograph humans, whether at an event or just candidly in the street, you are in an interesting, but powerful position. On the one hand, you are having to be open with your intentions and, by virtue of carrying large equipment, will naturally draw attention to yourself. On the other hand, you are a step removed, shielded by a lens. This allows you to form deep connections, often with complete strangers, without the same level of anxiety. As a result, you will find yourself building up your level of confidence. Photography also gives you a reason to seek out adventure and special moments that make you feel alive. 3. Photography can help you develop a personal business. Beyond the more spiritual, social, emotional and psychological benefits of a photography hobby, you are building a real skill that is valuable to society. CanvasPop asserts that in the age of Instagram models and digital marketing, visual content is in higher demand than ever. Look for companies who passionately support the transformation of a digital photograph to a physical print. Posting on Instagram is one thing, but there is a large market in turning your photos into decorative and emotion invoking artworks. By developing your skill of photography you are learning a craft that is highly desired on the market. You can easily develop a sustainable business with this skill these days. Everyone has access to a camera these days, but many people don’t realize the benefits of really dedicating yourself to photography. It requires a deep level of perception or concentration that puts you in a relaxing state of mindfulness. At the same time, it will help you to build confidence and seek out opportunity, while building skills that are in high demand on the market. So psychologically, and financially, becoming a keen photographer could provide incredible growth. By starting to see Photography as a tool that can help you become a better and more independent person you will see there are beautiful opportunities all around you.